Made using premium Carnaroli Superfino rice from Lombardia, it makes for a wonderful dish by simply adding boiling water and stirring occasionally in 18 minutes. You can also give this mix your own signature by adding a homemade broth, vegetables, meat, fish, or herbs and stirring in one ladle at a time. Either way, the result is a rich, creamy risotto. 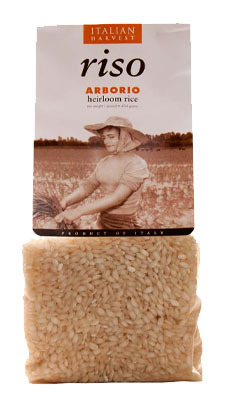 Arborio rice… The large grains of this Arborio rice, grown in the Po River valley of northwestern Italy, make it ideal for all risottos and baked dishes. 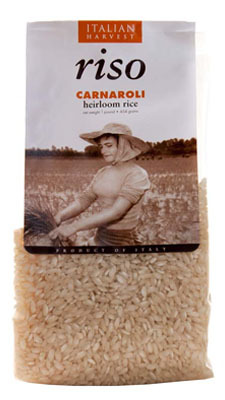 Carnaroli Rice… Low in starch, Carnaroli rice is big and fluffy when cooked, and is especially good for risottos and rice salads. A favorite among high-end chefs. 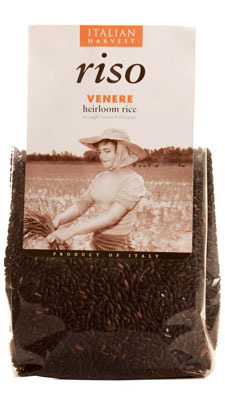 Riso Venere… A hybrid of Himalayan black rice, this Italian variety is grown in the Po River valley of northern Italy. Its deep burgundy and black color is due to natural pigment, and it has a sandalwood fragrance when cooked. Whole Farro… A precursor of wheat, this ancient grain (also known as “emmer wheat”) has a long history in Italian cuisine. 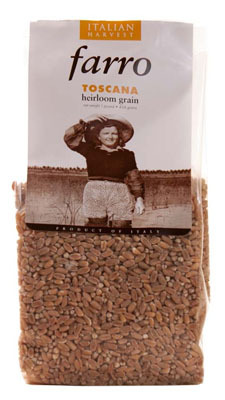 Our variety of 100% Italian Farro from Tuscany is artisanal, making it high in protein and delicious. Sometimes used as a rice substitute, it has a firm texture and is never mushy. Try our popular Farro salad in the recipe section.